To be able to play an important role in the lives of the members of our Community; especially in their moments of most need. The Community feel of our College and honest relationships between staff, parents and students and how those relationships help in the formation of our boys. To remain relevant, affordable and contemporary. My school, St Clare's School, is a CARE school (Curriculum and Reengagement Education) for girls in Years 8 12. It was begun by the Sisters of the Good Shepherd over 50 years ago. Prior to this I was a consultant in CEWA for 6 months; prior to this, I was a Deputy Principal in another Catholic school in Perth. not sure yet (only been in the role for 8 weeks)e.
trying to interrupt cycle of disadvantage for girls. getting students to engage in school who were originally not engaged in school. My challenges are different from the other schools in my area. Most Catholic schools have challenges because they are competing with each other for enrolments. I have lots of people wanting to get into my school, and need to cap enrolments for a while. My challenge is getting the students to come to school. I think we've become too elite. Bums-on-seats equals $, and schools are competing instead of collaborating. Don't think this is true to our mission. I wish enrolments would be capped at a certain point, which would give other schools a chance to flourish too. The church today, being leaders of the Church. Where is your College located in relation to the Capital of your state/territory 200 kms above Broome on the beautiful Dampier Peninsular. Lombadina is right on the beach and a rich cultural history and Catholic history is part of this culture. Teaching and Learning: The Arts, Cultural studies, VET and the wellbeing and walfare of students and staff. The relational aspects of the role. The beautiful location, the culture and the rich Catholic history which we carry on in honour of the people who came before us in doing God's work. 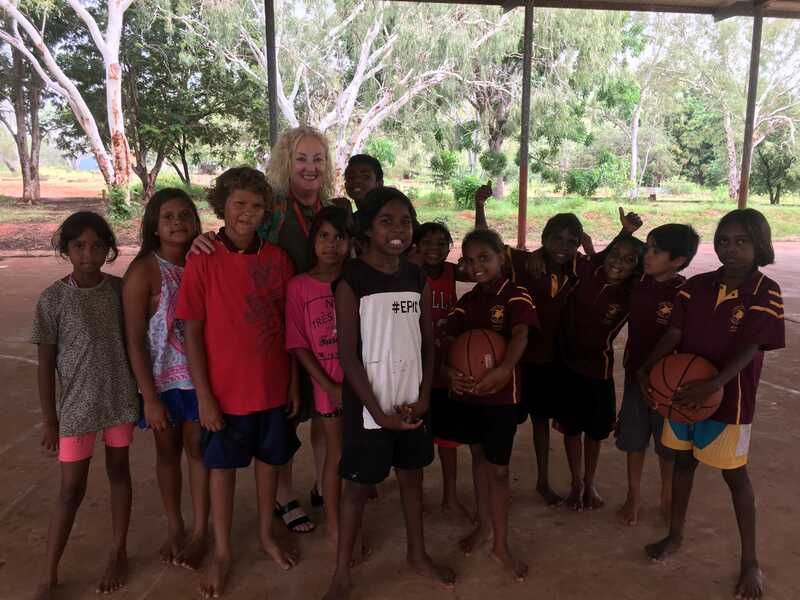 For Aboriginal students, an education that caters for their cultural needs as well as prepares them for the opportunities available to other Australian students. How many students We had an Census figure of 94 this year, but will have over 150 students through the school this year. Of these, about 40 will be secondary students. I was principal of Catholic primary school in Melbourne between my Kimberley stints. I gain the greatest satisfaction from seeing a sense of community across the school, but especially within the staff group - a group where individuals are committed to, not only their own wellbeing and work, but the wellbeing and work of their colleagues within the school. I see that Catholic Education is producing wonderful young graduates that are well educated, well rounded and usually with a responsible and compassionate world view. What I don't see is a pride in being Catholic. Where is your College located in relation to the Capital of your state/territory St Mary MacKillop College is in Busselton which is approximately 220km south of Perth, home of magnificent beaches and gateway to the iconic wine and surfing region of the South West. St Mary MacKillop College is a K-12 Systemic Co-Educational Catholic College. I delight in being a part of our College community. We have wonderful students who are full of life and bright eyed about the future, dedicated staff who are always looking to help, support and encourage the students, parents who want the very best for their sons and daughters and support the College in achieving this and members of the town community who are always welcomed into the College. We all have our part to play and I love being part of all of this. I'm proud to be welcomed into a community that is exploring exciting new challenges where the care and support of every student is at the top of their list. I'm proud to be given the opportunity to work with our fabulous students, whether it is a morning greeting "Good morning Mr Norton and May God bless you with a sparkle and a sparkle and a I love you." to a chat with a Year 12 about a calculators ability to generate recursive formulae, I am blessed to be in this game. We are in our second year of an amalgamation of St Joseph' School and MacKillop Catholic College. Now being K 12, we look to embrace the wonderful opportunities that being one College can bring through delivering a seamless learning experience for all our students that spans all aspects of their growth. To develop in our students a strong Catholic identity where the compassion, respect, insightfulness, love, trust and optimism of our faith that we constantly see in our school community translates into their life after school. The understanding of the school motto: "I Believe...I Belong"
In what year did you commence as Principal of this College I was appointed as foundation Principal of Holy Cross College in 2008. (The College opened in 2010.) I also did some work for the system on whole school improvement while setting up the new College. As a new Catholic College we have engaged with our community to establish a strong Vision and Mission inspired by John 10:10 our College motto is Life to the Full. Our four pillars - Learning, Inter-relationships, Faith and Enrichment (LIFE) permeate all areas of College life. We have developed a distinctive Catholic identity, which includes a culture of pilgrimage in the College. Catholic Identity Keeping faith at the centre, particularly as the percentage of Catholic students is relatively low in comparison to more established areas. Speaking the language of faith in a way our community understands, so that we may nurture a hope filled faith which gives our young people meaning in their lives. Student and parent engagement in learning building cultures of high expectations and developing partnerships to engage students in learning. Encouraging and maintaining high aspirations, to enable all students to achieve their potential, regardless of their circumstances. Student well-being supporting students to build resilience and to develop social competencies. Responding to a complexity of individual and family needs. Forming leaders with a deep sense of faith to lead our schools in an increasingly secularised world. If we are to maintain our Catholic identity, formation of current and future leaders is critical. Fostering well-being and resilience in school communities among students, staff and leadership teams. How do we hold on to what is at our core and step into the zone of risk? 1. Our students are honest and respectful young men and woman. 1. Funding issues both Federal and State. 2. To create an educational environment which harnesses the potential to engage and empower the students in our care. Where is your College located in relation to the Capital of your state/territory Located in Perth; 15 minutes west of the CBD. Founded in 1977 following the amalgamation of Loreto and St Louis. The school brings together the traditions of St Ignatius Loyola and Mary Ward in the pursuit of excellence. Named after Pope Saint John XXIII and inspired by his example. 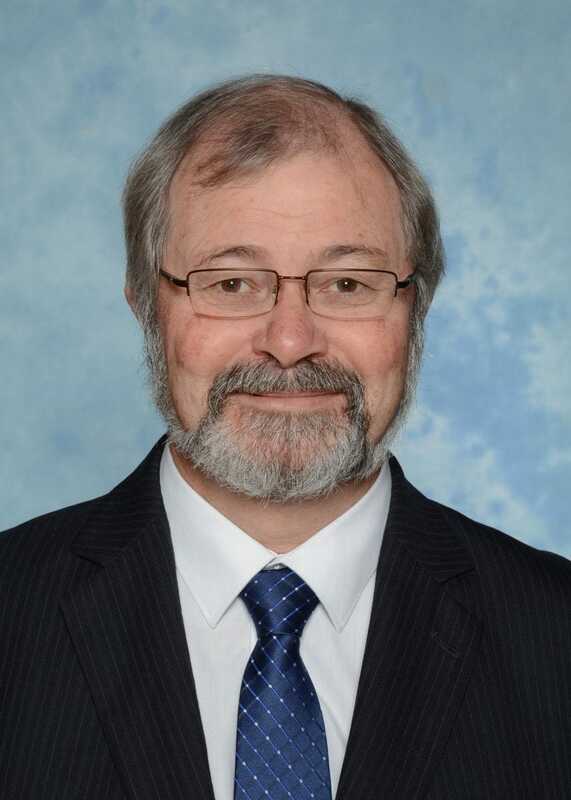 Headmaster of Christian Brothers' College Fremantle. It is a dynamic Catholic Co-educational environment. 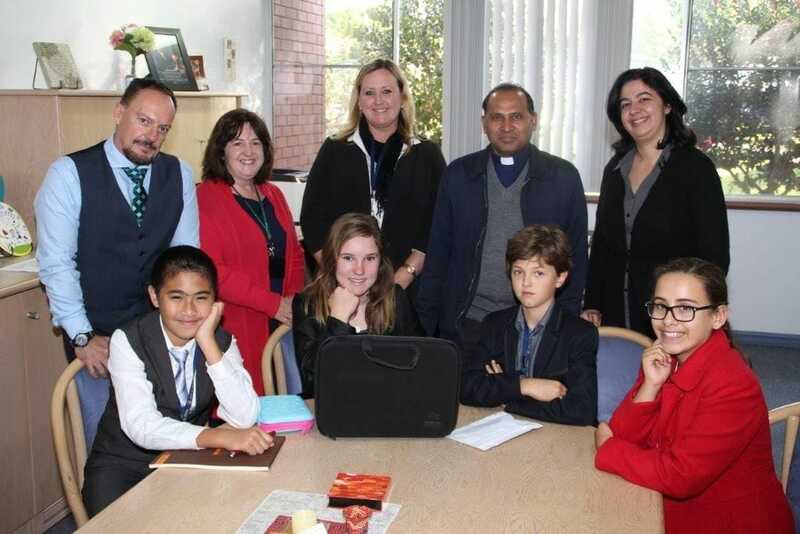 I have been immediately impressed with the calibre of our exceptional students and staff and our faith, academic, pastoral and co-curricular programs. I love that the College has a Mary Ward facility for students with disabilities. The school has been located on its current site in Mt Claremont since 1986. The superb site has enabled the development of a spacious (24 hectares) single campus educational precinct. It is a very beautiful and picturesque campus. Our enrolments are very strong. However, there are other very good schools in the region across all of the sectors. One of our challenges will be continue to promote the benefits of a Catholic co-education in an area heavily populated by single gender Independent schools and quality government schools. It is always an exciting challenge to attract, develop and maintain an excellent teachers and other staff. Ensuring that the Gospel message of Jesus is kept alive particularly in a society that is increasingly critical of the traditional Church. Maintaining our relevance as the face of the modern Church. What is the nature of your College Newman College is a Catholic co-educational Pre-Kindergarten to Year 12 School which educates inthe Marist Tradition. It is owned and governed by theMarist Brothers. The College endeavours to providestudents with a sense of community where they feelwelcome, accepted, valued and believed in, so theycan reach their potential both as individuals and asmembers of society. The College lives out thefoundational characteristics of Marist education - Family Spirit; Presence; Love of Work; Simplicity; and In the Way of Mary. The College is in the enviable position of being able to offer an integrated, varied and seamless curriculum from Pre- Kindergarten to Year 12. The development of literacy and numeracy is central to the educational program. The basics are developed in Kindergarten and built on through to the completion of Year 12. The College focuses on identifying and meeting the individual needs of each student, whether in providing support for those experiencing difficulties or maximising opportunities for those showing significant potential. The College also offers an extensive extra-curricular program including the Visual and Performing Arts, Sport, Immersion, Social Justice and Service Activities. What was your role prior to taking up this appointment Principal - Marist Catholic College Penshurst, NSW. Ensuring the evangelising mission of the Church is transformative in the experiences provided for students, staff and families. This includes a commitment to Evangelisation, Religious Education, Social Action and parish partnership. To continue to develop strong and robust learning culture/s that engages critical and creative thinking as key pedagogical principles. Additionally, ensuring quality teaching is supported by vibrant professional learning communities. To create an educational environment which harnesses the potential to engage, affirm and empower the students in our care. As a faith-oriented context, our school and Catholic School systems needs to continue its evangelising mission whilst striving to be a centre of excellence which continually reflects upon its practices. 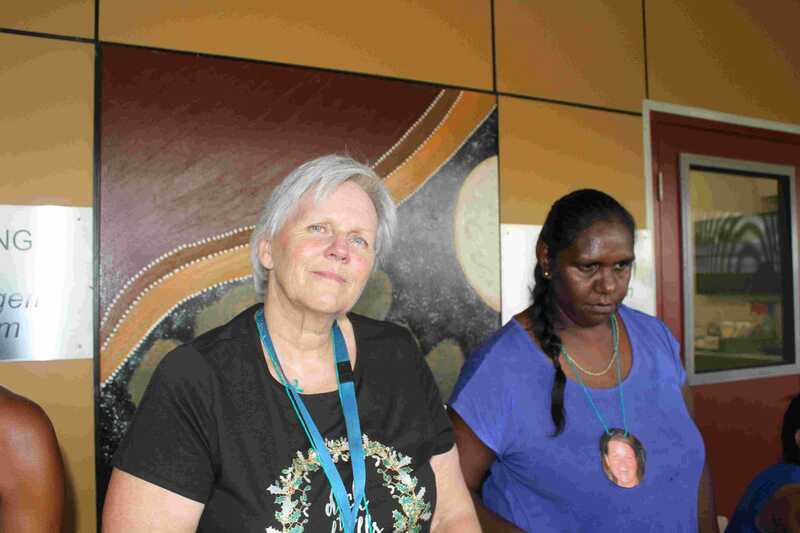 The number of Aboriginal students in Catholic schools. How many students 1290 (including 152 boarders). The positive stories our graduates share about their time at the College. 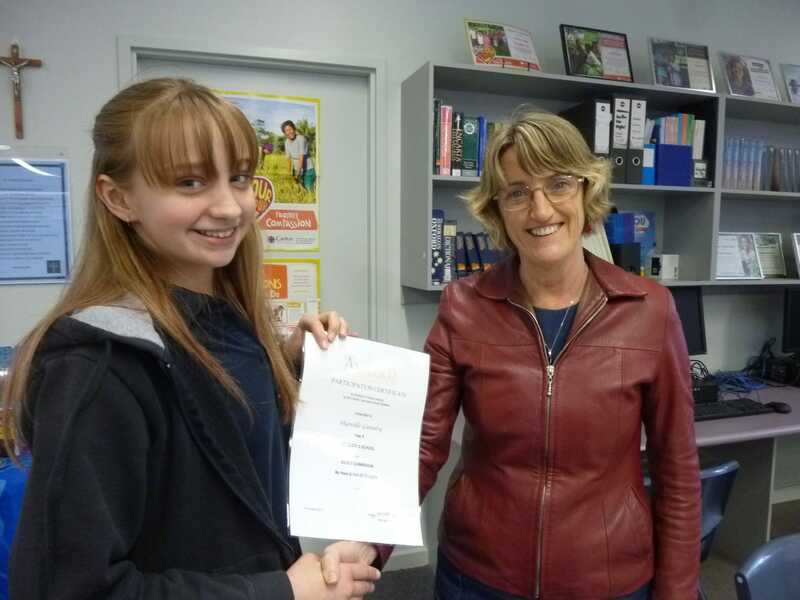 Students who have achieved their potential despite adversity. Lack of involvement of families in their parish. The impact of the Royal Commission. Attracting staff who are practicing Catholics. What is the nature of your College Co-educational, 7 -12. Formed in 1989 with the amalgamation of St. Thomas Aquinas and CBC Highgate. An inclusive and caring, learning environment. A friendly and engaged school that feels much smaller than it is. Support for the establishment of new Catholic schools. Our students are wonderful, honest and respectful young men and woman. The genuine and positive care consistently demonstrated and lived by the Staff. 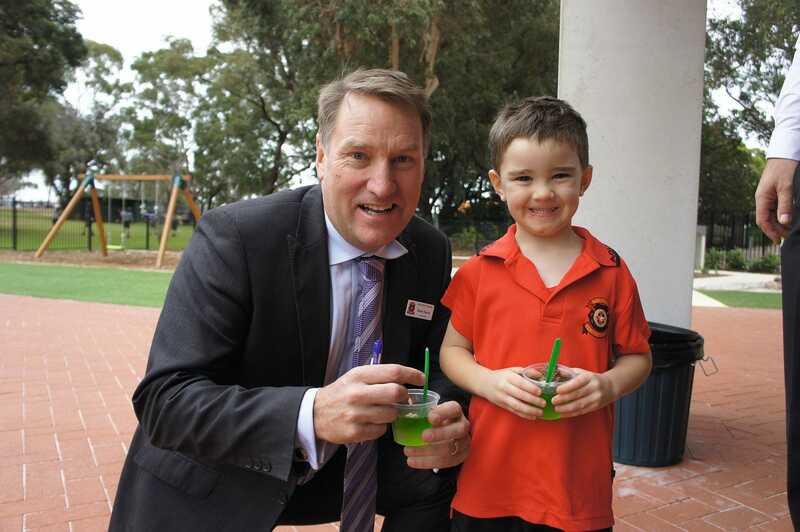 Our school and others nearby are in a rapidly growing area of the Perth metropolitan area. Navigating such growth and launching student enrolments across our Catholic schools will be important. Funding issues both Federal/State and Special. Parents choosing Catholic education because of our results and facilities rather than our values. 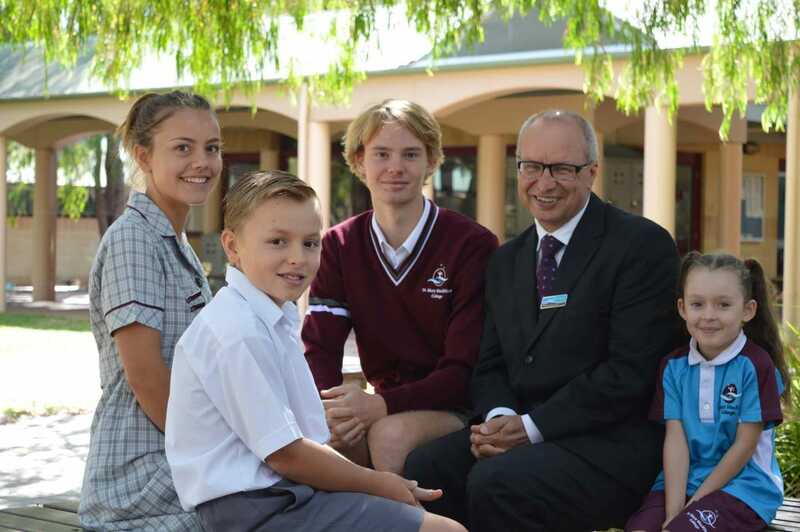 Choosing our Catholic schools for "the fruits, not the roots"
Where is your College located in relation to the Capital of your state/territory Leederville is approximately 5 kilometres north-west of the CBD. Operating in an inner city context. 1. Finance and reaching out to the margins. Downturn in the financial economy. 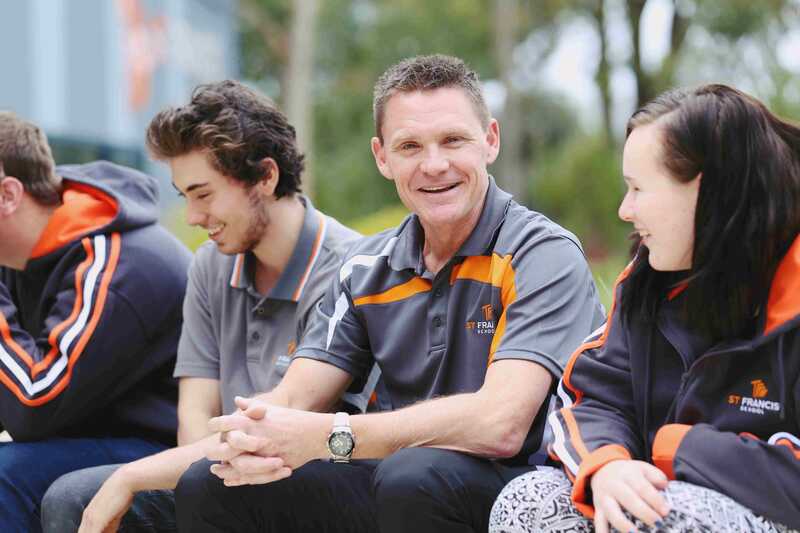 What was your role prior to taking up this appointment Previously Principal at Lumen Christi College, Martin, WA. The role of Principal is wonderfully rewarding and brings great satisfaction. The opportunity to lead a community, to recognize and develop capacity and leadership in others, and to assist in the formation of young people is most satisfying. There is a strong and wonderful sense of community at Trinity College whereby students, staff and parents are supportive, respectful and positive. The increasing level of accountability measures being placed on schools. The place of the 'Church' within our wider society and the role and recognition of our Catholic Schools as part of the Church. A co-educational Year 7-12 school in the charism of the Sisters of Our Lady of the Missions. 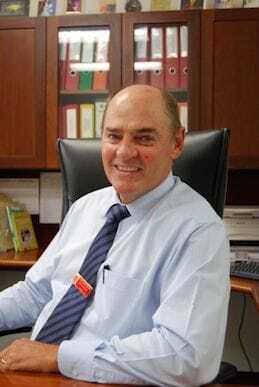 Principal of St Lukes College in Karratha, WA. a wonderful connection to social justice through a very active Young Vinnies group. A challenge in our region is to ensure we can provide enough places for Catholic students in the region. The funding uncertainty is a challenge for schools on a low fee base. Another challenge is to maintain a true counter cultural Catholic education in our schools.